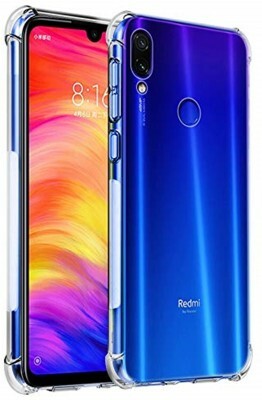 So, you have got the latest offerings from Xiaomi the Redmi Note 7 and the Redmi Note 7 Pro. If you have been able to grab any of these smartphones in the flash sale, the most sensible purchase after this is going to be is to buy a good case to cover your phone and protect these beauties from any damage or scratches. That's why in this article we take a look at top 10 best cases & covers for Redmi Note 7 and Redmi Note 7 Pro. 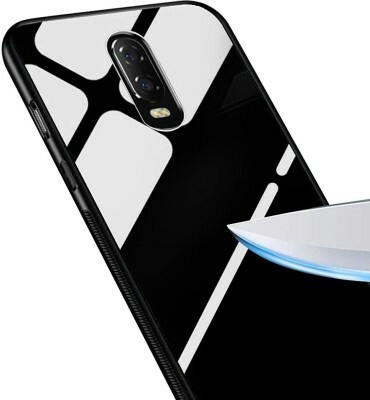 Both the phones have a glass back and a teardrop notch design. Both the front and back are protected by Gorilla glass 5 but still, your phone needs to be protected from any damage or scratches in the day to day usage. Here you will find various kinds of cases & covers: transparent silicon, shockproof armored, printed back and flip type. Some of the cases have a fabric finish as well and feel very comfortable in hand. Let's now take a look at the 10 best cases for Redmi Note 7 series phones. These cases are priced between Rs. 150 and Rs. 700 in India. You can get them from Flipkart or Amazon. Links are provided for every case/cover. 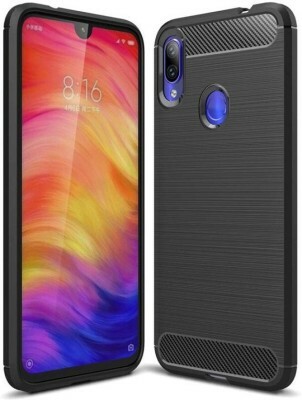 All these cases can be used on both Redmi Note 7 and Note 7 Pro as well because the phone dimensions and cutouts are exactly the same. The first option on our list today for your Note 7 and Note 7 Pro is the Fortify Soft Fabric Hybrid Protective Back Cover. This is a case made out of premium soft silicon TPU material on the inside and high-quality fabric material on the outside. Now not only does it give the phone an extremely premium look but also a few perks like shock absorption corners, tempered glass compatibility, easy fingerprint slide access, precise cutouts for mic and speaker grill. All in all, this is an extremely premium case and a great way to protect your phones from those bumps and dings. At a price of Rs. 549, this is a great cover for your new phone. Now, if you are on the search for something simple then Tarkan has the transparent back case cover for your Note 7. 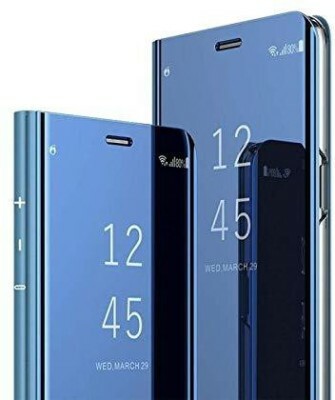 This is a great offering as not only does it allow you to see through the back and make your phone look all stylish but provides great protection too. The edges of the cover are firstly higher than the screen thus any scuffs are avoided immediately when your phone if kept screen faced down. The other feature being it also covers the volume and power button with a closed key design. This means that not only will the key be protected from mumps but dust and dirt too. At a very modest price tag of rupees 149, this is a great option to consider. Next, we have an offering from Lokezeep that not only gives your Note 7 great protection but a classic business class look too. The Lockzeep cover for the Redmi Note 7 gives your phone great value for money even at this price. Apart from being made with lightweight material and being extremely ergonomic, it also brings a few perks with itself. This is because apart from giving your phone complete protection it also doubles up as a popup stand. This is achieved by tucking the front cover up against the rear of the phone. All in all, this case at rupees 599 might be expensive but it literally checks so many boxes right that we simply could, not recommend it. Now if you are looking for an absolute best case and want absolute value for those bucks that you’re going to invest and bulkiness is something you don’t mind this cover is for you. 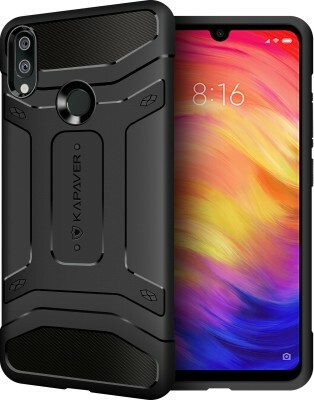 The shockproof back cover from KAPAVER is the best solution when it comes to heavy duty usage. Firstly, the camera is protected by a 1.4mm lip while the screen is protected by a 1mm one. Now you must be thinking that if the cover is thick then it must be taking away from the tactile button that your phone has right. There is absolutely no need to worry as the cover comes with tactile buttons in it to protect your keys and not take away the tactility that it comes with. At rupees 599 this is definitely a no-brainer. It will protect your Redmi Note 7 or Note 7 Pro from drops and will give it a premium look as well. Coming to cases for the Note 7 pro we first have the toughened glass back case from TheGiftKart. This is an example of a perfect mix of beauty and toughness. The case comes with a toughened glass + TPU bumper providing all-around protection. Not just this but the case comes with precision cutouts for buttons, ports, speakers, and camera for the Note 7 pro. All together like we said before it is the perfect mix of looks and protection. It will cost you around Rs. 350 and is available on Amazon. Well that’s quite a mouthful, isn’t it? To simply put this flip cover from FOSO is much like the flip cover offered by Lokezeep for the Note 7. The fancy name means that it is basically has a mirror finish at the front giving your phone that premium and classy look. The rear is a soft material to give your great ergonomic feel when you hold the phone with the cover. Needless to say that the cover gives great protection but again like the Lokezeep flip cover this also doubles as a stand-up case too. Thus, you can enjoy your movies on your Note 7 Pro without propping it against an object to make it stand up. Up next we have another flip cover for you. This time around we went for a lather one. To be honest this is basically like the swiss knife of flip covers. This is because not only does the case provide great protection to your phone and gives it great protection. But it also serves as a Cardholder and a stand-up case too. On the inner side of the case, it has dedicated pockets for your cards and an additional compartment for carrying some cash. This cover in no way is going to replace your wallet but it is nice to have this as a backup. 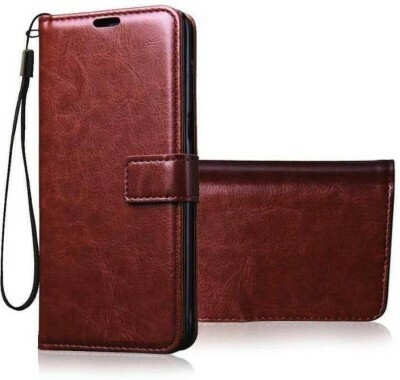 If you want to protect your Redmi Note 7 from both sides then a flip cover like this would be great for you. Apart from this the case retails for around Rs. 300 and to be honest provides great value for money. This back cover is a great offering from GoldenSand. The cover comes with great textured back giving users great grip and ergonomic. It also makes finding the fingerprint sensor a breeze as it features a fingerprint dump. Apart from this, the case Is lightweight adding protection and not bulk to your Note 7 pro. There is also a reserved lanyard hole within the design of the phone. The case is also made out of soft and environment-friendly silicone. At rupees 499 this should definitely be on your list if you're looking for a case for your phone. 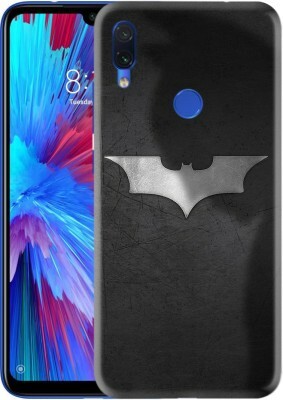 This is one of our favorite back cases for Redmi Note 7 and Note 7 Pro. Now we have got an option for all the MARVEL fans out there. More specifically the Ironman printed soft case from MTT. This is probably is the lightest case on our list today weighing under a mere 18g. The case not only gives your Note 7 pro a great look but also provides great protection, especially at the corners. It has an overall q.2mm of thickness footprint and this contributes to the lightweight design. It also comes with a slightly raised design providing protection for the screen. Apart from this, the case is actually a Licensed marvel product. Thus, is an absolutely genuine product. At 399 rupees this case is definitely going to give your phone a great statement. 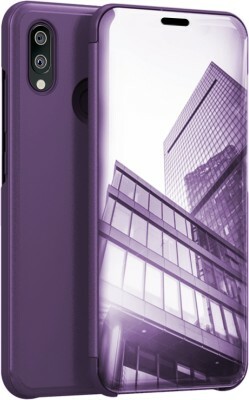 You can check out more printed design covers for Redmi Note 7 on Flipkart link below. We come to our last pick for today's list with Tarkan once more. For our last pick, we tried to keep things simple. The royal ultra is a slim fit cover. Now do not be mistaken for its slim profile cause this case packs a punch. 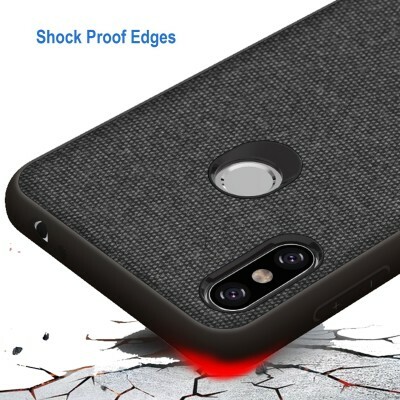 The case provides screen and camera protection by having a slight bump on the front and back for the screen and the camera. Apart from this, it has a great matte finish on top of being a soft case. This provides great grip in the hand. At around Rs.250 this case does not break the bank and will protect your phone from drops. 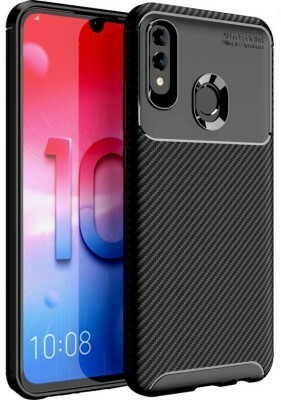 So these were the 10 best cases and covers for Redmi Note 7 and Redmi Note 7 Pro. Each of these covers is from different categories. Some are flip-covers, some are hard cases while others are soft or slim fit covers. Ultimately, we have kept protection in mind while building this list for you. With this said we hope that you find the best fit as per your needs and taste.